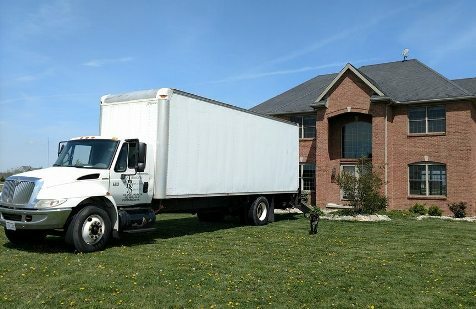 Acme Small Scale Movers Inc. is one of the most professional moving companies with the highly skilled crew members in the city of Sunnyvale. They specialize in providing safe and best services to their customers. The company deals in both, personal/commercial moving, local and as well as long distance moves with the proper dedication. Having a long-term experience, the company’s movers are impeccably professional and handle each & everything with utmost care and respect. Since 2002, the company has been helping thousands of families in relocation and their only goal is to provide a stress-free and painless move to all the customers. Services such as pickup/delivery, truck rentals, furniture assembly, loading/unloading, packing/unpacking, etc., are offered by the company. Along with these, the company is a specialist in handling antiques, pianos, pool tables, fine arts with proper precision and care. For them, customer satisfaction is everything, hence they work accordingly to make each client happy and satisfied. With such best services, they also keep in mind the choices and preferences of the customers. All the employees are family-friendly and skilled in doing their jobs rightly and are always there to provide any kind of expert advice to the customers with proper and good communication. Call them or drop a mail today, to receive a free in-house estimate from them! Acme Small Scale Movers Inc. was established in 2002.They charge economical rates so as the move doesn’t make you feel burdened and the customers can focus on building their new lives. With the hard work and dedication, the company has gained a lot of success. They make sure that their customers are happy and satisfied by providing them with a memorable and successful move. 590 E Fremont Ave, Sunnyvale.